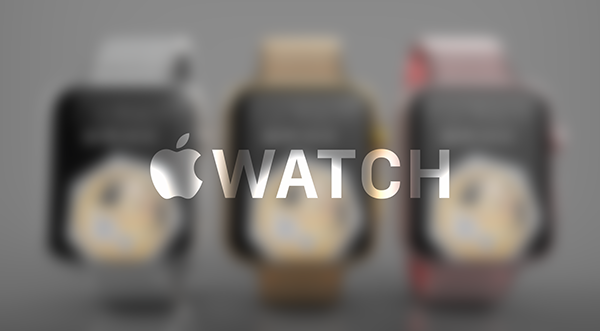 The Apple Watch has just gotten the treatment which is familiar to us when it comes to the iPhone or iPad lineup of devices. 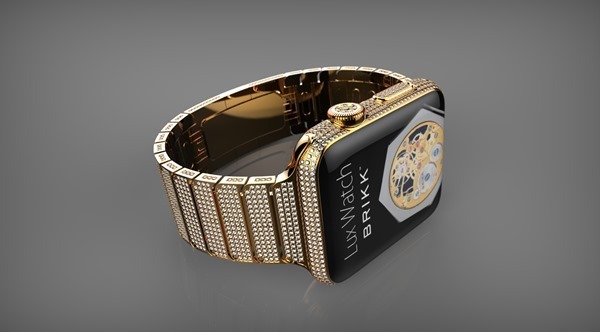 Brikk, the luxury and couture product design company has just announced an array of luxury models of the Apple Watch that will be available to consumers once it is officially released in April. For further details on this development, read on. The Apple Watch is already being pitted by the Mac maker as a device that cares for people’s sense of fashion, but what’s to stop people from buying the same wearable with some additional exclusivity added to it. This is where Brikk comes in. Brikk will be making around 30 Apple Watch luxury models available in April with prices that will go as crazy high as $70,000, which is understandable given the company’s transformation of the watches into jewelry items at par with other luxury watch makers. Now that we’ve established that the 18-karat gold Apple Watch Edition is simply not luxurious enough, Brikk is looking at 24-karat yellow gold, 18-karat pink gold, and 950 platinum coupled with some varying band options which are not short of show stopping stuff either. Tagged as the Lux Watch by Brikk, the lineup will offer the more affordable Standard edition featuring a single row of diamonds (.50-karats) running with a leather strap. If you’re still hungry for more of the precious stone, the Deluxe edition will have you covered with multiple rows of diamond (2.3-karats) including diamond encrusted buttons and a diamond studded clasp on a leather strap. However, if you still don’t feel enough spoiled, you can always go with the Omni edition which simply screams diamonds in all its embodiment, and can be fetched for a mere $69,995 only, where prices will vary somewhat with the two standardized sizes of the watch. 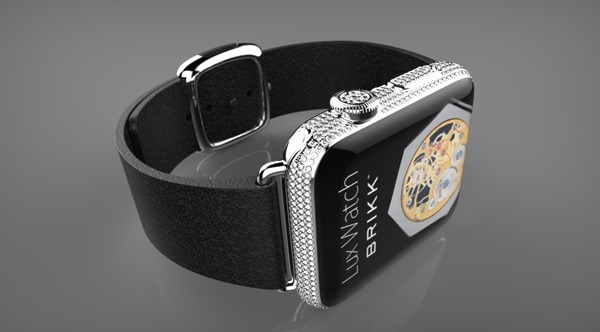 Meanwhile the factory released Apple Watch Edition is rumored to carry a price tag nearing – or even topping – $5,000 which is still significantly meager compared to Brikk’s Lux Watch lineup. Brikk is currently taking pre-orders for the watches, and is expected to ship the products starting 4 to 6 weeks after the watch is officially launched by Apple in April. Let’s assume for a second you had the spare change to buy one of these; would you? Share your thoughts and opinions with us in the comments section below! Earning cash on-line was ne’er been straightforward because it has become on behalf of me currently. I freelance over the web associate degreed earn concerning seventy five greenbacks an hour. Get longer together with your family by doing jobs that solely need for you to possess a pc and a web access and you’ll have that at your home. slightly effort and handsome earning dream is simply a click away. If katepery54 shares her cash earning secrets, maybe I’d get the omni. However, until that becomes a reality, no. What is worst than fanboys drooling all over the screen when Apple news are published on this blog?